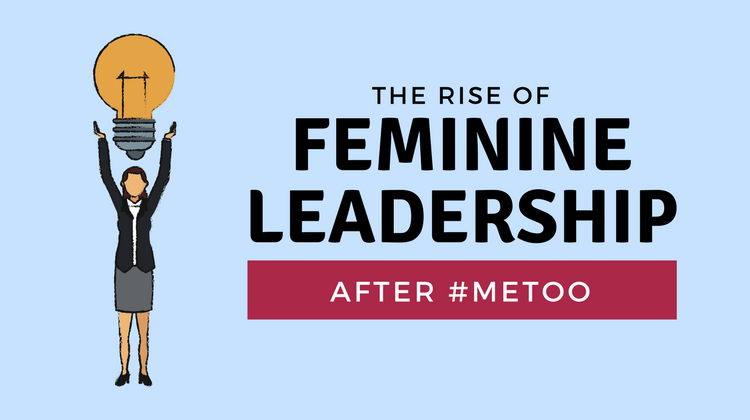 In the wake of the “Me Too” movement and Oprah Winfrey’s rousing “Time Is Up” speech at the Golden Globes, it seems that a rise in feminine leadership is not only imminent, but necessary as a way to move collectively forward. And by this, I don’t just mean more women leaders, although more of us are certainly needed. But, it’s also about male leaders embracing the traits of feminine leadership alongside us. It’s going to take all of us to create the change we seek – those who lead thousands and those who lead just one. When I read about feminine leadership traits, I realize that I do, in fact, embody many of them in my style of leadership as a woman business owner. These traits are empathy, collaboration, generosity, patience, inclusiveness, intuitiveness, and the courage to break the rules and buck the system. But the thing is, I didn’t begin my company with the goal of becoming a “feminine” leader. Back in 2001, feminine leadership wasn’t even something people were talking about. Rather, I began with a very clear idea of what I didn’t want. Prior to becoming a business owner, I spent many years working in a corporate environment. While I enjoyed the time I spent there and am eternally grateful for all that I learned, there were a number of things about it that I couldn’t stand. For instance, I didn’t like the constant jockeying for position that had nothing to do with how effective someone was or what they produced. I didn’t like the hierarchies and ‘turfs’ that existed just about everywhere I looked. I couldn’t stand all the drama and political nonsense. And, I didn’t like the pyramid that rewarded anyone with great ambition over a peer who was perhaps more qualified. The sad truth is, these traits were exhibited by men and women alike. Everyone essentially had to play the same game to get ahead. When women first entered the workforce, we were compelled to conform to the business culture of the times. We had to prove that we were as good as the men by acting just like them and quashing our more feminine traits. And unfortunately, we also had to play by the rules and put up with sometimes sexist and misogynistic behaviors – and maybe we didn’t even notice it ourselves. It’s just the way things were. But now, women are well established in business, and while the playing field isn’t as even as it should be sometimes, we’ve gained a lot of ground thanks to the courageous efforts of those who came before us. We are stepping into more and more leadership roles within organizations and as business owners ourselves. We’ve taken a look around, gotten a good idea of what we like and don’t like, and have set about creating a business culture that reflects our values. With my own business, I decided to create an environment that was collaborative and team-centered, where co-workers bonded and worked together to achieve a common goal; a place that was enjoyable and fun to come to each day; and a place where people knew they were valued, not just as employees but as fellow human beings who occupy a space in this world far larger than what they produce for me and my business. In the beginning, I hired women almost exclusively. This was partly because they were a good fit for my business model. It wasn’t until much later that I realized that I had created an environment where incredibly talented women who had stayed home to raise children could succeed in a new career, in a manner that allowed them to be moms and wives and whatever else they wanted. Today, women comprise the executive leadership of my firm, but we are hiring both men and women in the more junior ranks. We have begun promoting men, alongside women, and I think that’s the ultimate goal – a fair playing field for all. At my company, if you live out our core values, you can succeed, whether you are a man or a woman. Going forward, I believe the success of leaders, both male and female, will not be about identifying oneself as either a feminine or masculine leader. Rather, a true leader will embrace the best of both styles of leadership, tailoring them to their own unique and individual experience of being a leader in service to a goal that is larger than their own success, and with the understanding that the true mark of a great leader is one who helps the people she/he leads to grow and to thrive.